A K S Publication has been established to publish scientific researches and literature in the medical field. It is registered with the 'Mauritius Society of Authors (MASA)'. With the coming advancement of the internet, an electronic journal 'Internet Journal of Medical Updat' is launched in January 2006 on http://www.geocities.com/agnihotrimed. 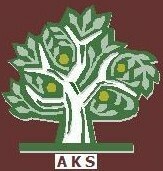 The contents of this electronic journal has been shifted to the website of AKS publication in June 2009. It provides the latest knowledge of current scenario to the viewers and readers in various fields of medical and biomedical science. IC value of a journal is calculated on the basis of five important parameters such as scientific quality (58%), editorial quality (20%), international availability (13.5%), frequency-regularity-stability (5%) and technical quality (3.5%). The international indexation, the annual percent of original research papers, the number of papers published annually from centers outside the journal's country of origin indirectly indicates the journal's acceptance on the international market, the number of all papers published on annual basis and the international editorial board are evaluated to assess the scientific quality. The leading element to assess the editorial quality is the uniform composition of presented manuscripts and adherence to the authors' guidelines of journal. International availability is evaluated by considering two important factors: the language of publication (English is prefered) and the internet availability. Regularity of issuance is also assessed, which is an important factor for the stability of a journal. Technical quality is determined by proper presentation of the scientific content.